Add some peace and tranquility to your room with this stunning wall mural, ‘Giant Turtle’. 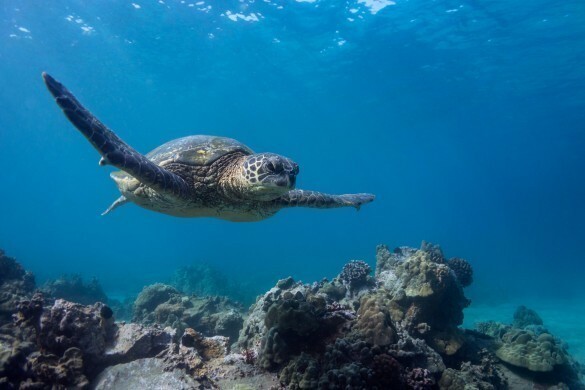 Humans have long been admirers of sea turtles, and they continue to both fascinate and intrigue us in equal measure. The seven species which grace our oceans belong to a unique evolutionary lineage that dates back at least 110 million years - they’ve been swimming the seas since dinosaurs roamed the land!